From start to finish, the entire process takes about a week. This year, we started decorating bright and early on Nov. 1 (we couldn’t wait any longer)! Around 4:00 a.m., workers started bringing in the elaborate decorations. The trees are pre-lit, so the time we saved doing that is used to meticulously place the ornaments. As you know, a perfectly trimmed tree is everything! It’s also a craft finding the perfect place for each wreath. Try finding them all on your next visit! The decorations aren’t only on the inside, though. 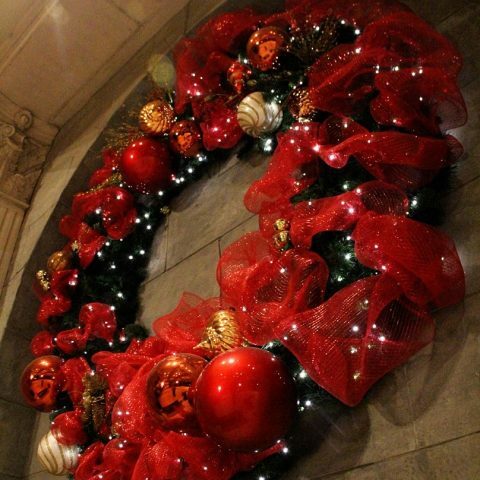 We have wreaths and lights wrapping around the pillars outside of our New York entrance. We also have green and red lights in our Rome valet area. On December 1, we’ll start playing all of the classic Christmas songs. There’s no way you can be a Scrooge here! This time of year is truly our favorite, as you can tell. Not only because of the decorations, but the promotions as well! In A MIST Christmas Party, we’ll be giving away a total of $50,000 in cash, purses and jewelry. The World’s Game Show: Winners of Christmas Cash is also a huge promotion for us. We’ll be giving away $425,000 in cash, prizes and Bonus Play. It’s not too late to participate in either of these promotions! 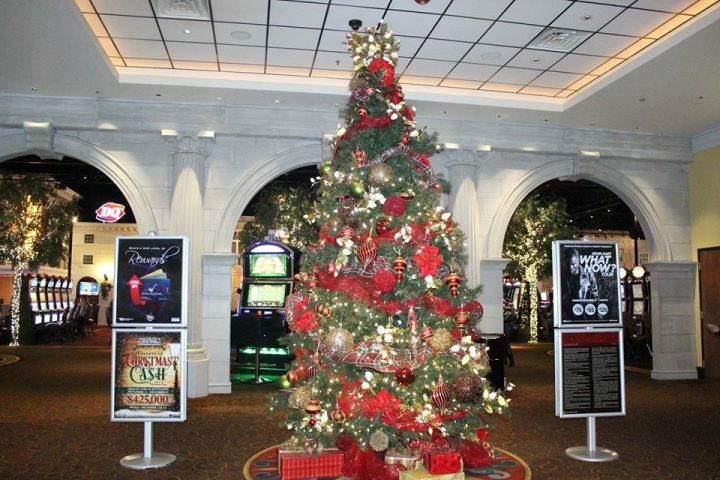 What are your favorite WinStar Christmas decorations? Feel free to share them with us on Facebook, Twitter or Instagram (@WinStar_World)!